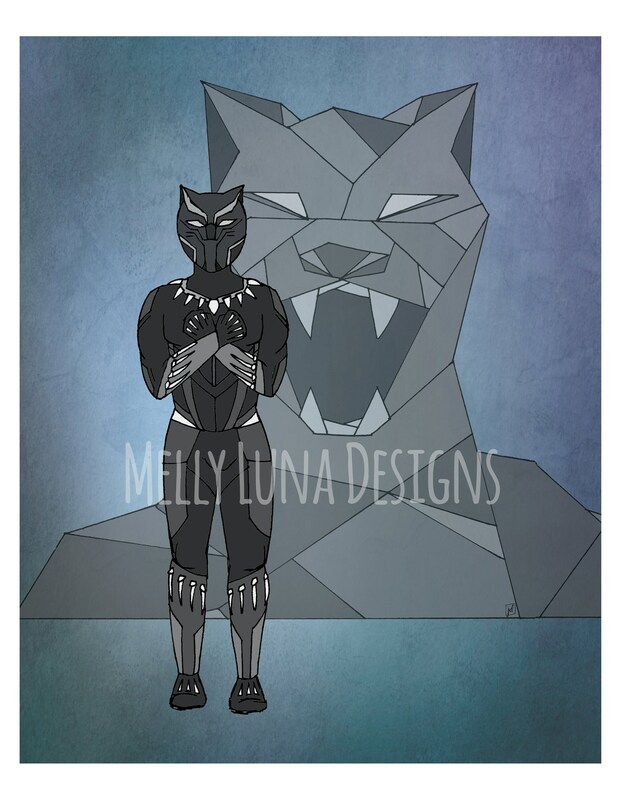 Inspired by Black Panther...Wakanda Forever! One of my all time favorite Marvel films to date! The original art was created with pen and ink techniques, colored digitally, and then overlaid on an abstract background. The abstract background was sourced from a fellow Etsy artists DigiTreats https://www.etsy.com/shop/DigiTreats?ref=l2-shopheader-name. Get three for $25! Leave a note when you check out detailing the three you would like, please!